When the zombies rise, you will want to have the right tools on hand for fighting the undead and surviving on the run. 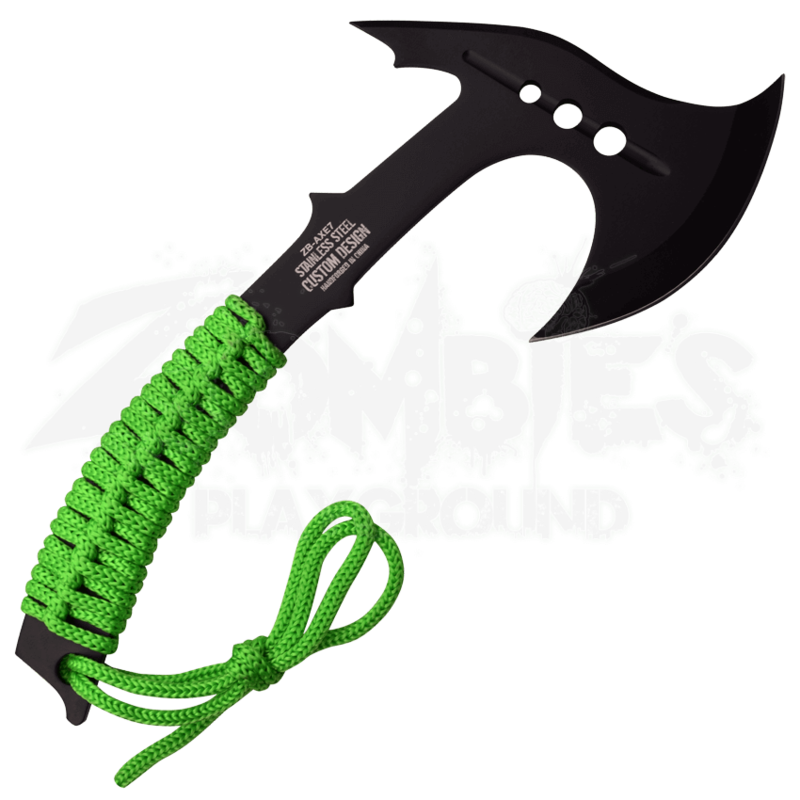 The Black Steel Zombie Hand Axe makes a great option with its zombie-themed coloration and quality construction. This stainless steel axe features a black finish that looks striking with the bright green cord that wraps the handle. The black steel axe has a spike opposite the blade, offering additional functionality. 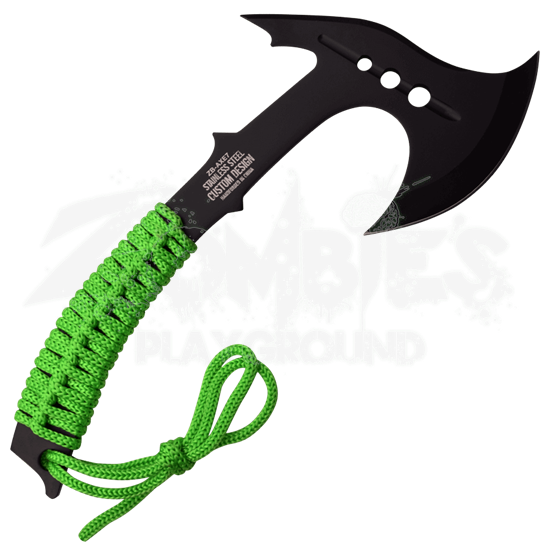 You can add this zombie axe to a bug out bag, or bring it on camping trips. The tactical axe comes with a black nylon sheath to help you carry and store it safely.